The kingdoms of man are fighting against elves, undead, and demon-creatures from the wastes. In these times, some morals are lost, or at least, past deeds are glossed over. Such is the case of Baron Zachareth. To some, a saint. To others, a demon (though different from the demon-creatures). Either way, he's coming to the tabletop for Runewars. Few agree on whether Baron Zachareth of Carthridge is a hero or a villain, but those under his rule laud his strong leadership, particularly in battle against the enemies of the Daqan, whose numbers seem to increase each day. 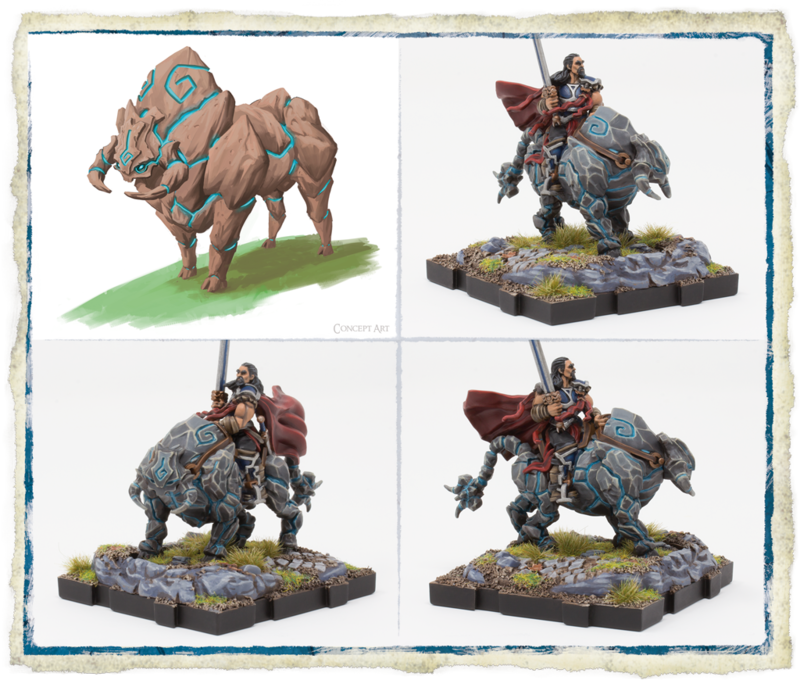 As the battle for Terrinoth continues to rage in Runewars Miniatures Game, his martial mastery and knowledge of the arcane runes may prove invaluable, even if his methods are questionable. 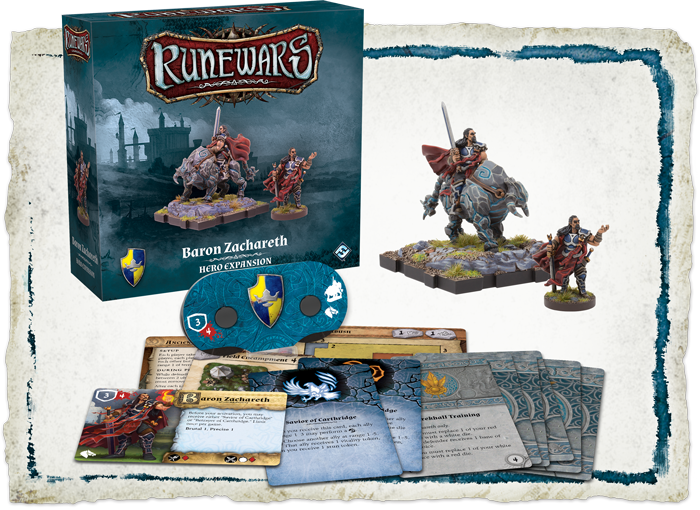 Fantasy Flight Games is proud to announce the Baron Zachareth Hero Expansion—you can pre-order your copy today at your local retailer or online through our website!